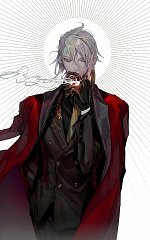 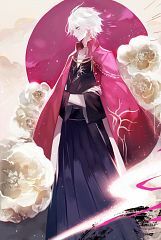 579 anime images in gallery. 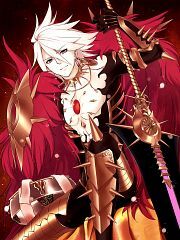 Tagged under Fate/Apocrypha, Red (Meta), Yusa Kouji and Fate/Grand Order. 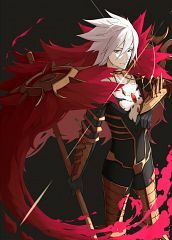 Red Lancer (Lancer of "Red", "赤"のランサー, ?) is the Lancer-class Servant of the Red Faction in the Turifas Holy Grail War of Fate/Apocrypha. 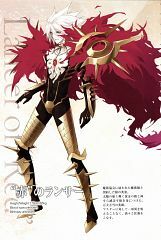 He was designed by Kinoko Nasu and illustrated by pako for the original canceled online game project. There is an alternate version that appears in Fate/Extra CCC. He can be also summoned under the Archer and Rider classes. 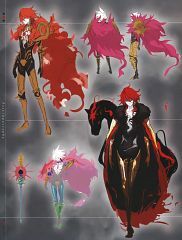 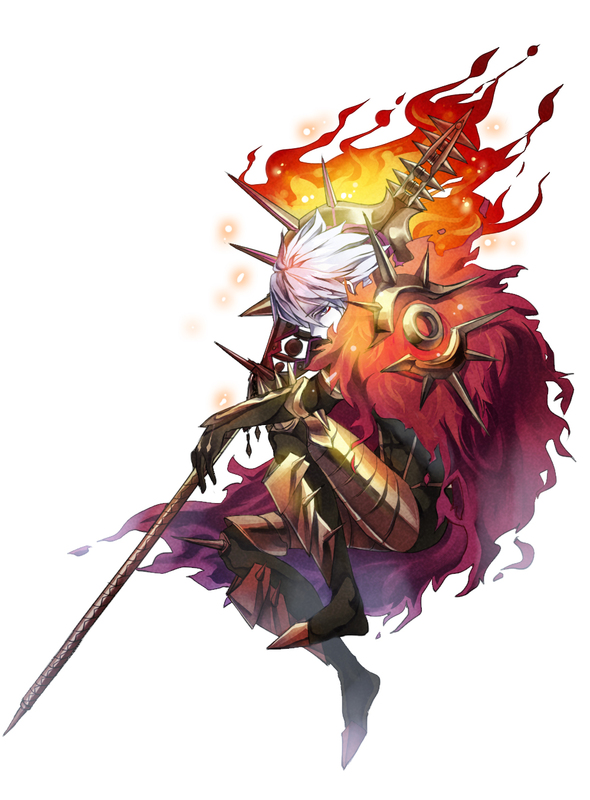 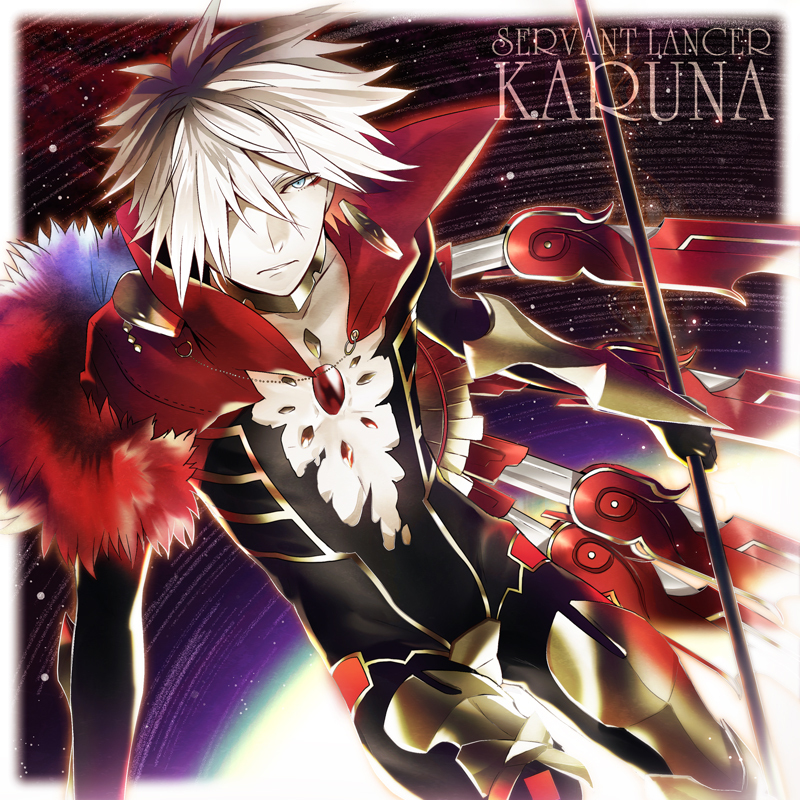 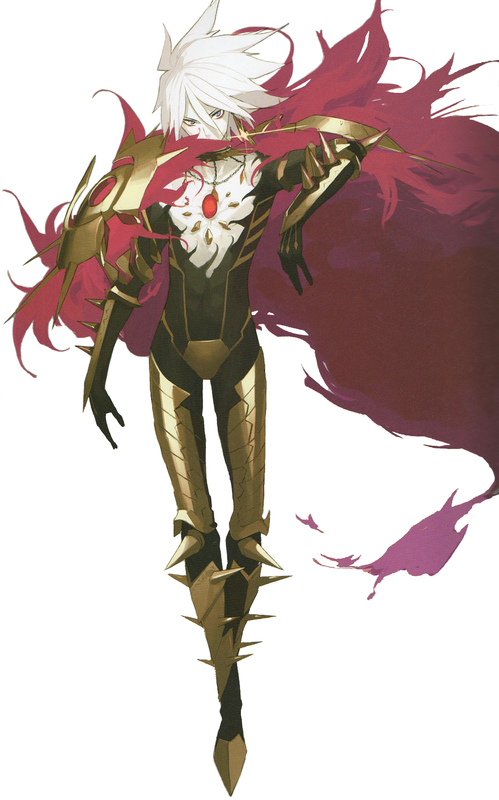 Lancer's identity is Karna, Son of the Sun God (太陽神の子, Taiyoushin no Ko?) the invulnerable hero of the Indian epic Mahabharata. 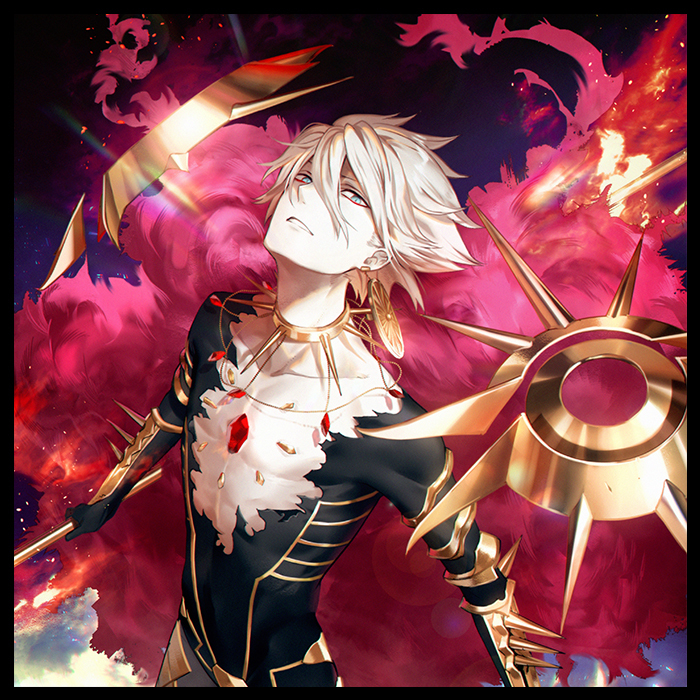 Karna was born between a human mother Kunti and the Sun God Surya. 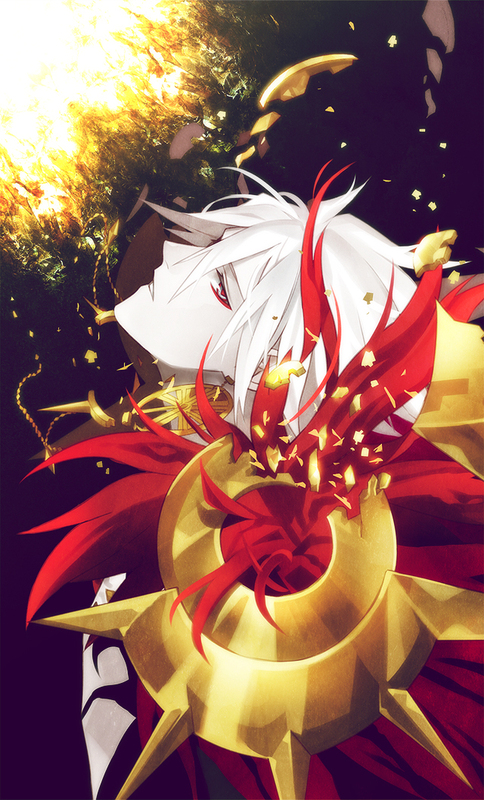 As proof of being the son of Surya, he was given a golden armor that granted invulnerability. However, Kunti abandoned Karna and became the queen of King Kuru. 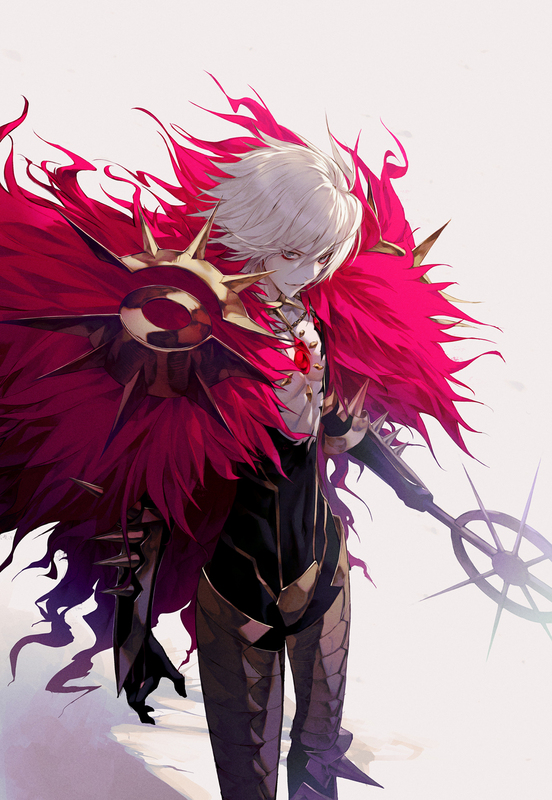 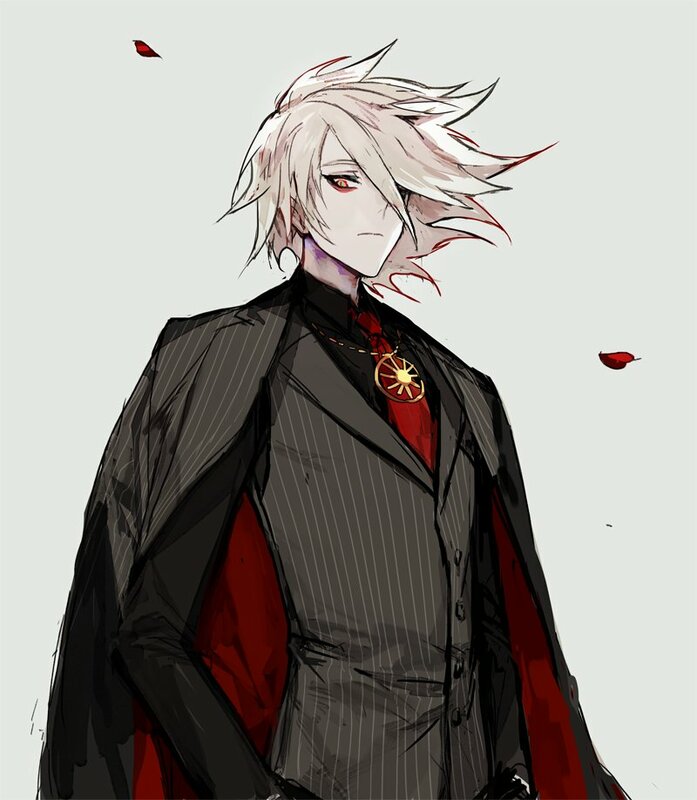 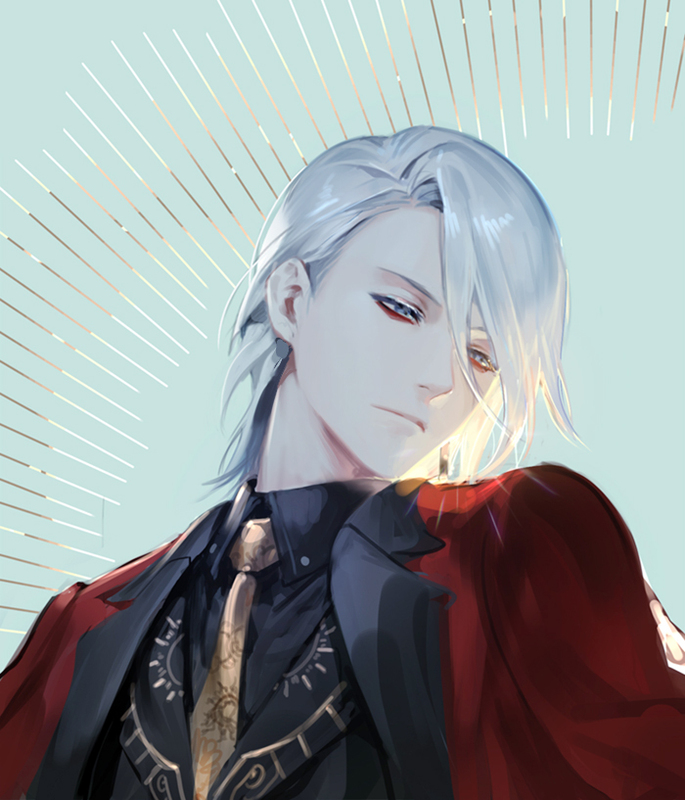 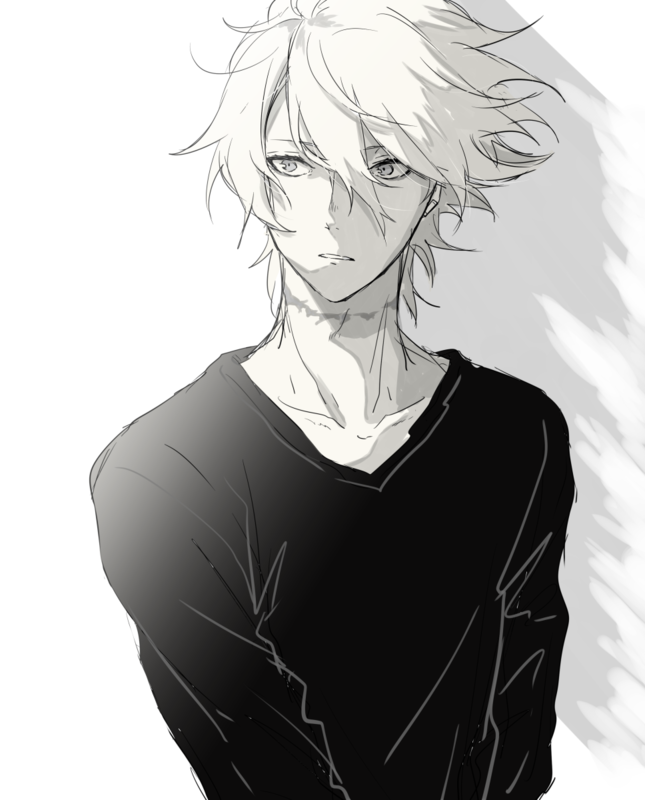 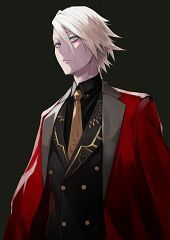 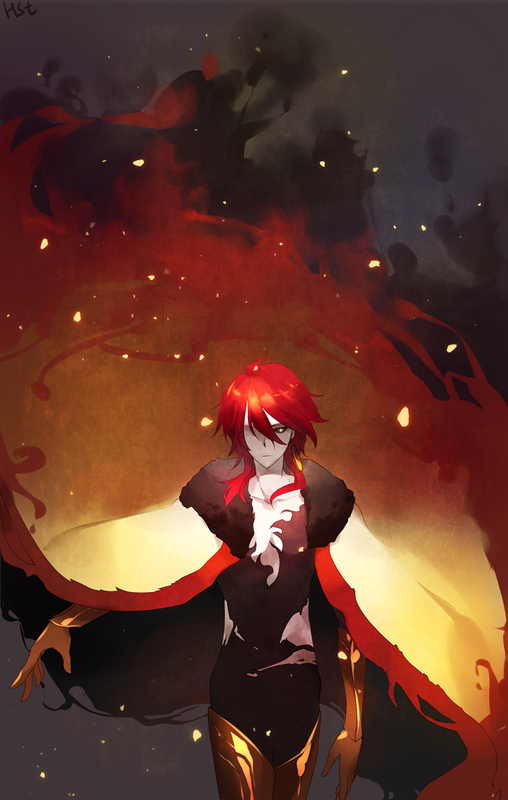 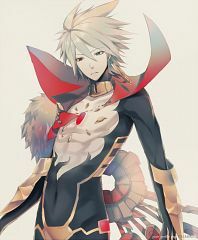 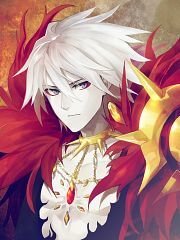 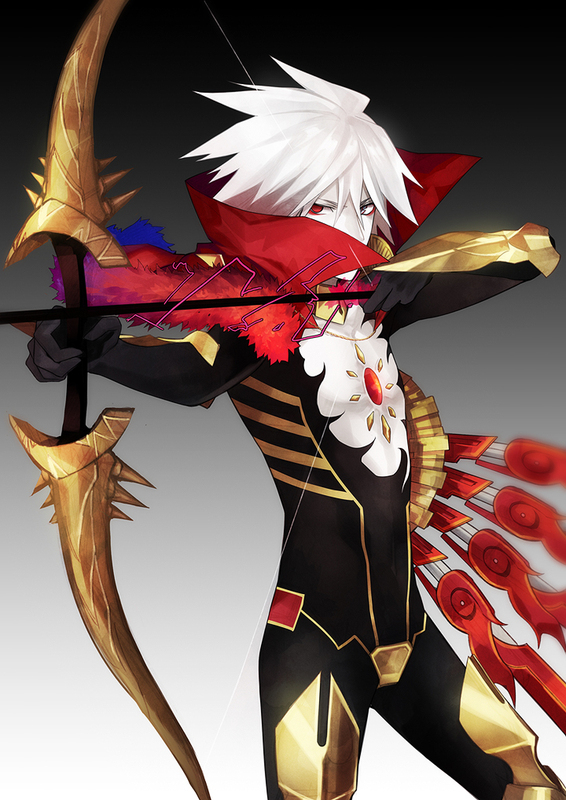 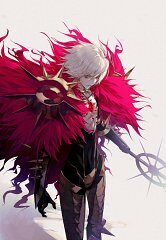 Not knowing who his mother was, Karna grew up with a low social status. 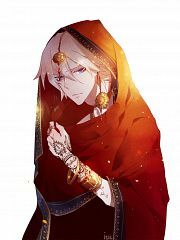 However, he soon made his existence known to the world by becoming the honored guest of the Royal House Kauravas, who were hostile to King Kuru. 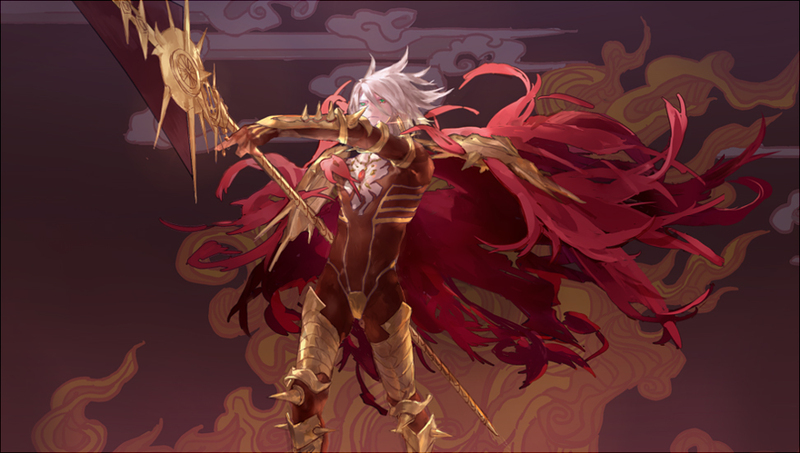 Karna participated in the wars around the borders and fought on an equal footing with Arjuna, son of Kunti and Thunder God Indra. Karna eventually fell in battle after being robbed of his golden armor by Indra, suffering many curses, and losing all of his allies. 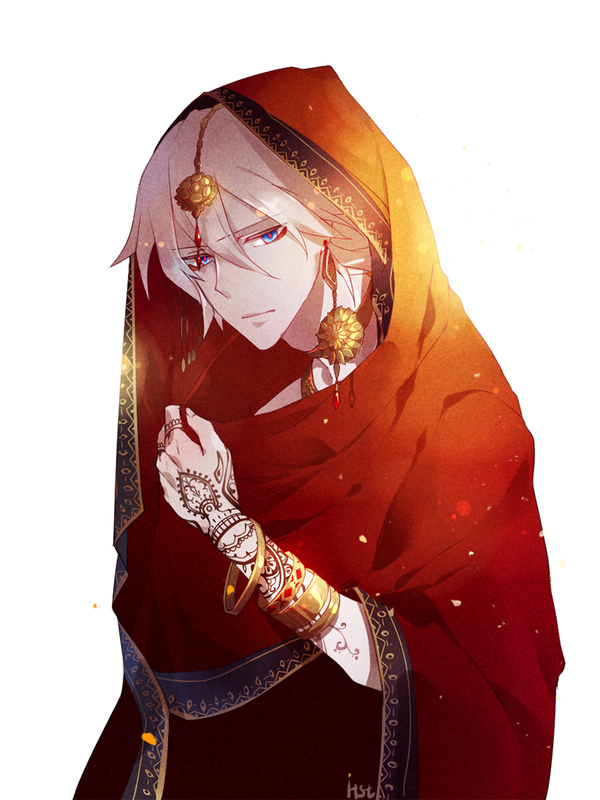 He died in the hands of his half-brother Arjuna. 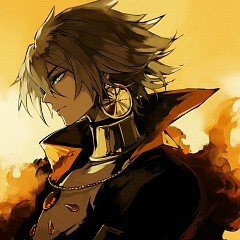 However, he did not hate anyone and accepted his death.